Blogs are everywhere. Used as a marketing strategy tool for years, blogs have proven effective in driving customers back to your company’s website. Yet in a world where video is king, the only marketing tactic better than a blog is a vlog. A vlog, or video blog can get your personal perspectives across in a matter of minutes and the amounts of people you can engage in that short amount of time is endless. People are visual learners. It’s a known fact that when faced with information on the internet, consumers would rather watch a video about the product than read about it. That goes for vlogs as well. Wouldn’t it be more effective, authentic and entertaining to hear the passion in someone’s voice and see the excitement on their face rather than just reading their words? Vlogs showcase your expertise – Who can promote themselves better than you? You know your product, its history and benefits. Vlogs also offers visual proof of quality, not only the quality of your brand, but the quality of your product and your team. You can always count on video to build trust in your brand and confidence in your company. Great way to connect with a wide audience – Place vlogs on your YouTube channel and give your SEO a boost! Google always prioritizes video which will move your vlog to a higher page rank. Since 92% of Google users admit to never getting around to the second page when searching for a subject or product, it’s imperative to utilize this smart tactic to move your message to the first page. Demonstrate Your Product -Imagine reading about a product. Although the description might be beneficial, nothing compares to someone showing you how it works. Through video the your product comes to life. The viewer can better visualize the product, which helps make that sale. In fact 64% of customers are more likely to buy a product online after watching a video about it. Vlogs don’t feel like advertising – In a world of stiff competition, consumers find that advertising can be heavy handed with a hard pitch around every corner. Vlogs are friendly, personal and helpful. When consumers find helpful content, they are more receptive to the marketing message. Vlogs help your customers relate to your brand – Impersonal advertising is what turns off a consumer. Customers want to believe you care about them. If you relate to your audience, they will reciprocate. Want more persuasion? Check out our Vlog for more reasons to Vlog! Daydream Productions-Vlogs from Kaplan Multimedia on Vimeo. 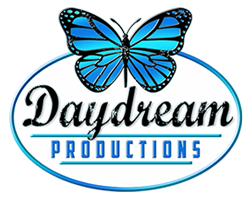 At Daydream Productions, we believe the sky is the limit. To borrow a line from Walt Disney, “if you can dream it, you can do it.” That is our philosophy in a nutshell. Whether our team is producing a compelling corporate video, writing a blog, or creating a captivating fundraising narrative, the end result is always filled with creative and powerful content, an inevitable result of the collective and invaluable experience that is the signature of Daydream Productions.